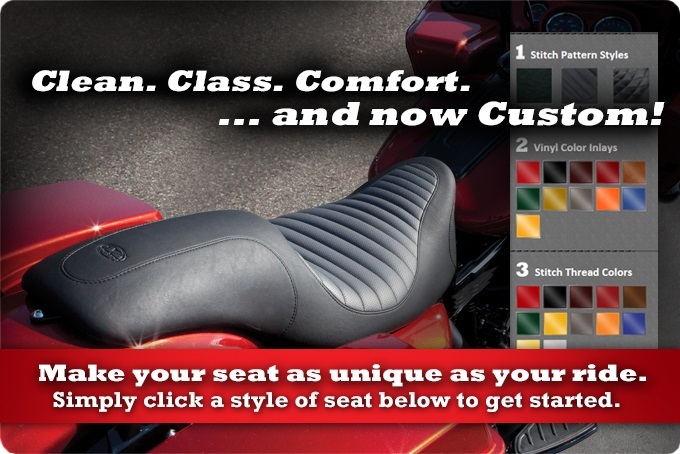 Mustang now offers custom seats with a selection of different inlay panels and stitch colors to choose from giving you added styling to complement your bike. Almost every seat or accessory Mustang offers can be customized. Please call a sales rep and ask for more details.